It's extremely easy to set up and get started. All you have to do is place the Canary in a central location, plug it in and connect to your Wi-Fi. That's it! You can stream live video from your home anytime through the Canary's free mobile app that allows you to see what's happening from anywhere with your iPhone® or Android smartphone. You can also capture everything on vivid HD 1080p resolution providing even the smallest details on your screen with a 47° field of view allowing you to see with minimal blind spots and the infrared night vision lets you see in the dark up up to 20' away when there's little to no light. It's also a great way to check in on your children or caregivers for added peace of mind. When the device is set to “arm,” you'll receive a notification when someone arrives in your home and you can use the “Watch Live” feature to check on everything from making sure the kids aren't watching too much TV or are on the computer too much. 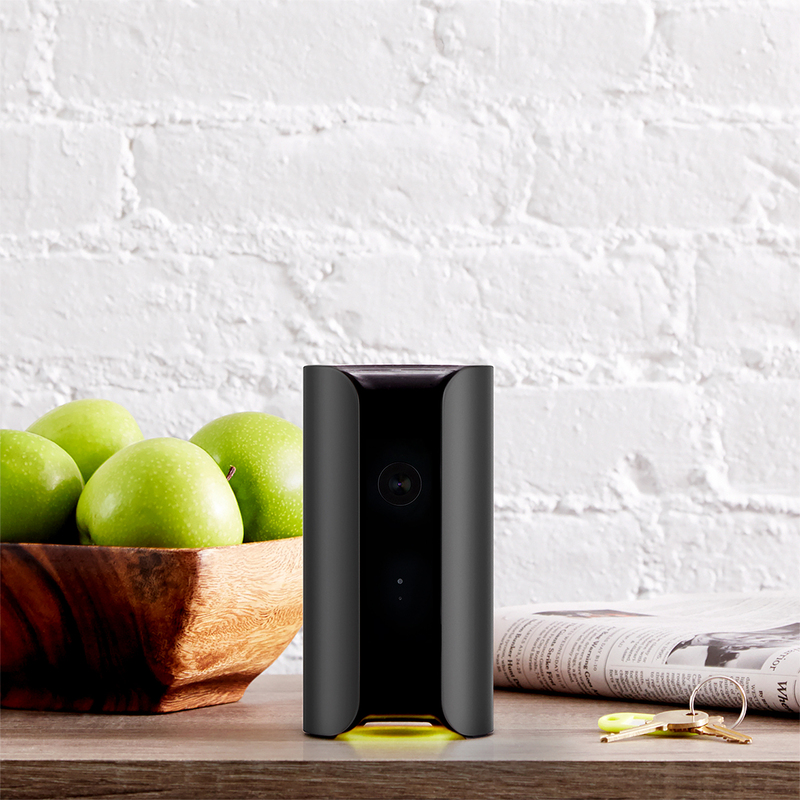 The Canary System provides you with a complete picture of what's going on in your house whether you are home or not. It's the only solution with a 90+ decibel siren and a localized emergency call feature to contact authorities near your house no matter where you are. This is a must have for those that travel frequently. The notifications keep you informed from movement-detection that contains recorded footage as well as the option to watch live or trigger the siren. Just since March 2015 launch, there have been nearly 75 known burglaries, home invasions, caretaker abuse and other emergency situations that have been captured by the Canary system. Canary is not just a security system as it also provides a feature called HomeHealth that lets you know and monitor if the temperature and air quality of your home is safe and comfortable. The entire system was exclusively developed with a Netgear® Nighthawk™ DST Router and DST Adapter with Geek Squad included exclusively at Best Buy. It provides an all in one solution to support your home's connected device. Did you know that the average home has SEVEN connected devices ranging from smart phones to tablets to laptops to computers to printers and more? In our home alone, we have over 10 devices connected. 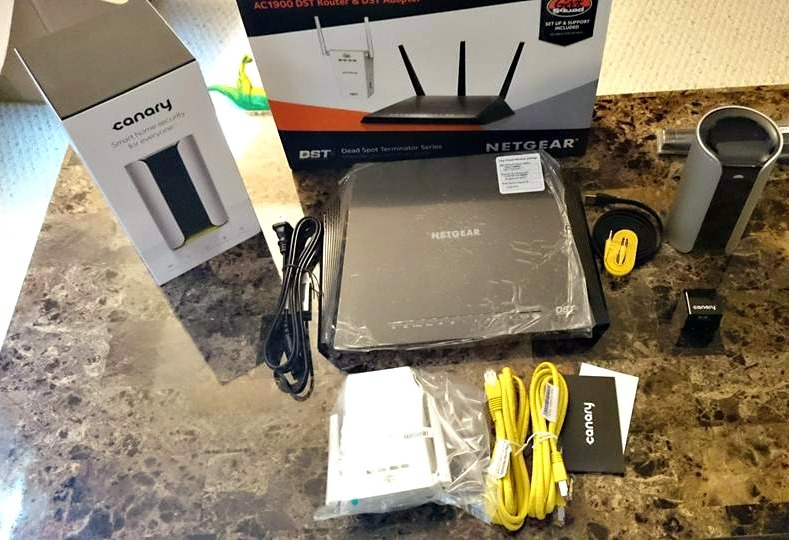 Due to all the connectivity, it may slow down the Wi-Fi, dropped calls or "dead zones" which can actually be improved upon an "AC" router, Wi-Fi extenders and expert help. This AC1900 comes with one DST, or “Dead Spot Terminator,” adapter to eliminate your Wi-Fi dead zones. You just place it in an area where you get little/no reception to improve Wi-Fi access. Additional adapters can be purchased for other dead zones you might be experiencing. This high-performance router was built to support 10+ connected devices which is ideal for your home as we also do a lot of streaming of movies. Another great feature is you can also prioritize devices for streaming videos or music, and included advanced features for lag-free gaming which is amazing as we are gamers! Even if you are not tech savvy, Best Buy makes it easy with this new high performance Wi-Fi router, which includes a Wi-Fi extender with Geek Squad Set Up and Support via phone & web, for one full year. The service was extremely helpful! They are also available via phone & web allowing customers to call or get help 24/7 whenever they want, vs. the need to schedule an appointment! With this service, you can sign up for a 30 day service of Sling TV. Get TV your way when you want it ... live not recorded! At just $20 a month, you can choose from popular channels, including ESPN, AMC, A&E, TNT, HGTV and more. There are add on programs as well as HBO for only $15 a month. You don't have to be at home as Sling TV goes with you as well. You can stream it via smart TVs, video players, Xbox One and more.